Origin: Known for centuries along Portugal’s coast as Cao de Agua or “dog of water” where it worked with fishermen to get the fish into the nets, retrieving gear from the water and carrying messages from boat to a boat or shore. The breed was brought to United States in the late 1960’s and is now becoming more known in Canada. Kyessiline Kennels is a proud member of CKC of this intelligent and loyal breed: the Portuguese Water Dog. Benefits: Portuguese Water Dogs are loyal, intelligent and very friendly with people of all ages, including young children. Of particular benefit for those with allergies (or who just don’t like frequent cleaning), this breed doesn’t shed, making it an ideal pet for all environments. 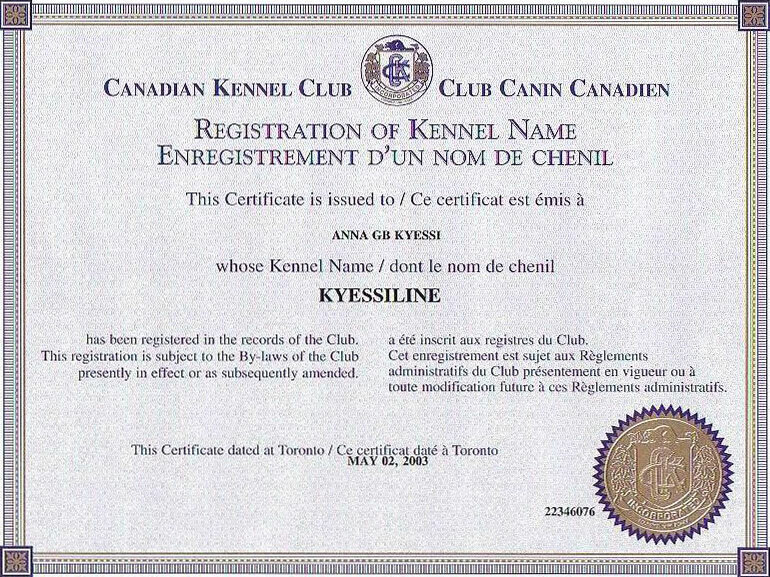 Delivery: Kyessiline Kennels is located in Ontario near the Quebec border. We have clients all across North America, having shipped all the way across Canada to Vancouver, B.C., as well as across the border to many parts of the United States. 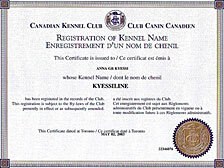 Kyessiline Kennels is a Registered Member of the Canadian Kennel Club.